Striped, feminine shirt blouse with pretty details from HAPPY HOLLY. 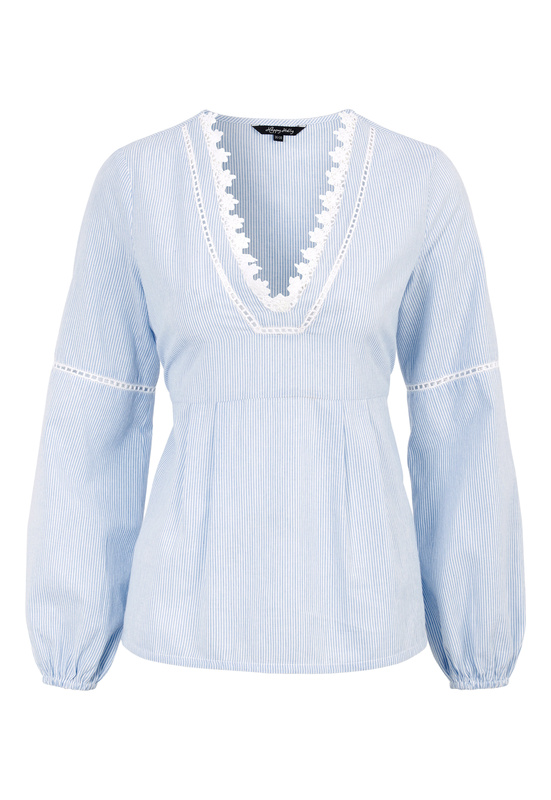 The blouse has a lacey neckline and a fancy cut with a tie waist that creates a flattering silhouette. Length from shoulder: 64 cm, bust 102 cm in size 36/38.